I believe that we should always be transforming into better versions of ourselves and to do that we need knowledge and direction. Of course as a christian I believe the best place to go for wisdom is God’s word, but my second favorite place to get wisdom is in books written by God’s people. 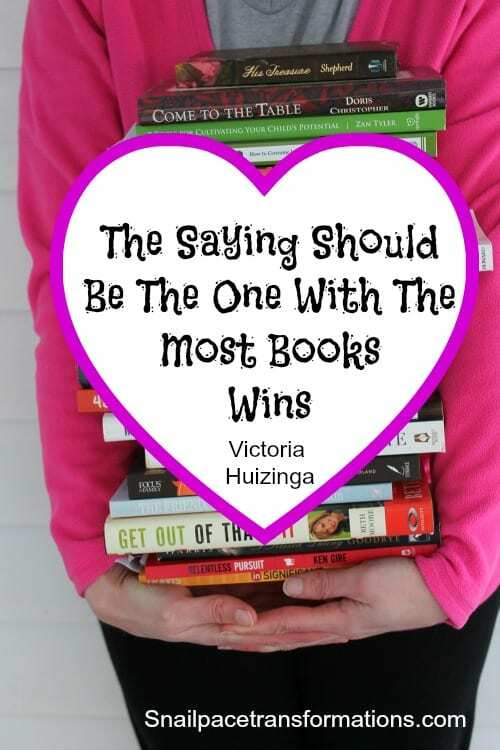 I admit it I am a bookworm and so is my husband. If you check our suitcases before a weekend away just the two of use you will find at least 1/2 a dozen books in them. We have been known to spend full days cuddled up just the two of us together with books. Since this blog is all about making room in our days and our budgets to pursue our passions, I like to talk about how I make time and room in my budget for reading so that I can help other book loving people do the same. If your not a bookworm the principles I apply to finding time to read, could be applied to other hobbies and passions too. Each year I challenge myself to read a book a week, I keep track on a page on my blog. If you are looking for titles to read, these are a great resource of books to check out.